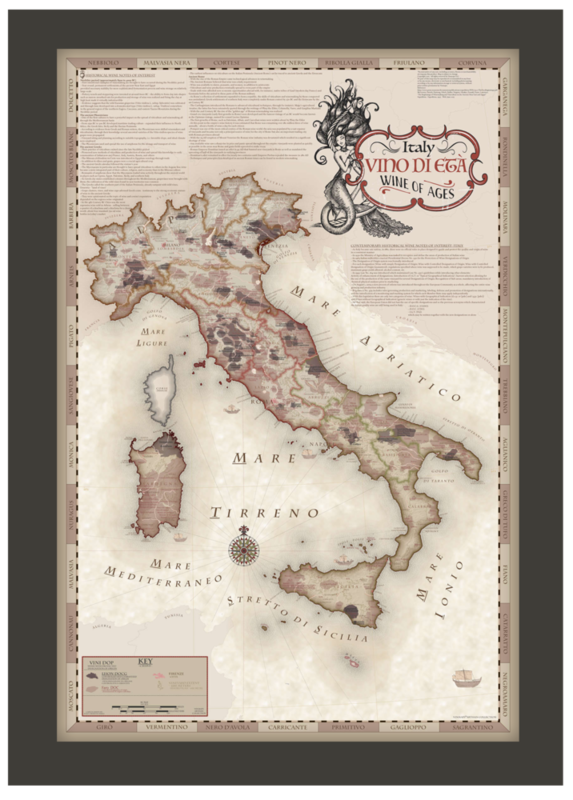 Let our mermaid siren take you back in time with our old world style Italy Wine of Ages map! 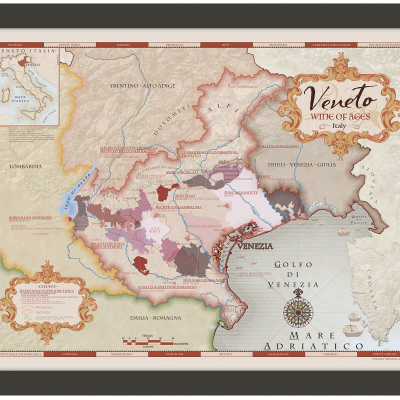 Historical wine notes are included along with Italy’s wine region boundaries and notes regarding current regulations for wines with protected designation of origin. 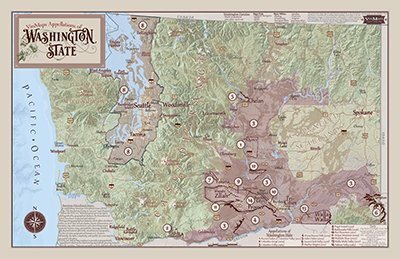 -Expedited shipping is available: please contact us via email at concierge@vinmaps.com or call us at (253) 329-2649 for assistance. 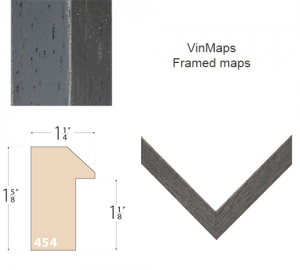 Turn around: Once your order is placed, your VinMap will be custom framed within 5 business days. 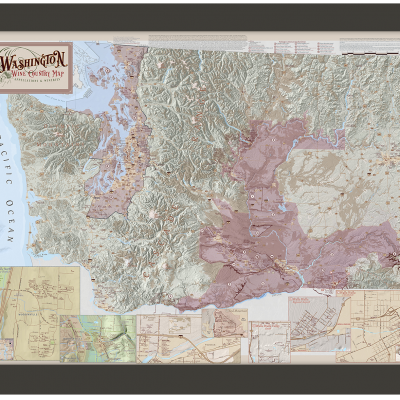 Your framed map will arrive to you within 4 to 7 business days after being shipped. 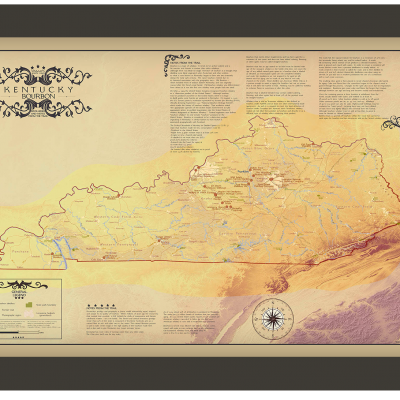 All framed items are shipped with careful, professional packaging.